Last resort: A study that debunks chelation treatment would do little to convince parents who are desperate for options, experts say. Researchers and bioethicists are reacting with anger to reports of a US National Institutes of Health study, intended to investigate the controversial chelation treatment for children with autism. The protocol is under ethical review at the National Institute of Mental Health (NIMH). Once approved by the institute, the researchers plan to submit it to the federal Office for Human Research Protections, which will assess potential risks of including children in the study. Mercury chelation treatment is based on the premise that thimerosal, the mercury-based preservative used in vaccines, causes autism. The treatment involves giving children chelating agents such as dimercaptosuccinic acid (DMSA) to remove mercury and other heavy metals from the body. Chelation has been used since the 1950s to treat lead exposure in children and, more recently, as an alternative therapy for adults with heart disease and children with autism. But there have been few studies weighing its benefits and risks. Susan Swedo, a senior investigator in pediatrics and developmental neuropsychiatry at the NIMH, in January 2006 first proposed the study, which aims to assess the effect of a 12-week course of a DMSA pill or placebo on 120 children with autism. The instituteʼs internal review boards approved the study in September 2006. 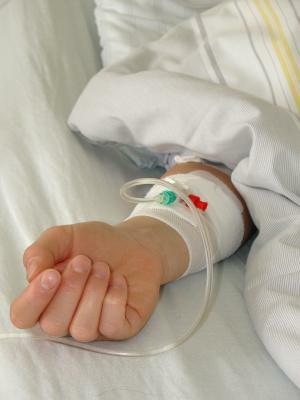 “There is need for a well-designed placebo trial to test the effects of chelation therapy in order for parents and practitioners to have sound scientific evidence on which to make informed decisions about using this therapy,” Swedo says. Swedoʼs team suspended the study after a February 2007 paper in Environmental Health Perspectives showed that in rats, a three-week course of DMSA causes lasting problems with learning and attention1. In 2005, a 5-year-old boy with autism also went into cardiac arrest and died after he was given chelation therapy with another agent, ethylene diamine tetra-acetic acid IV. In September 2007, Swedoʼs team submitted an investigational new drug application to the US Food and Drug Administration to classify the chelating agent DMSA as a therapy for autism. The agency approved the application in May, granting the researchers permission to study the drugʼs effects in children with autism. If the study is approved by the federal panel, the researchers could begin recruiting children in a few months to a year. But given reports of the treatmentʼs potential side effects, a trial to test it in children is unethical and unsafe, say critics. If the study does begin, close monitoring for adverse events and independent assessment will be key, Caplan says. After news of the study emerged in an Associated Press article on 8 July, many researchers expressed outrage that the NIMH is involved in the study. But Tom Insel, the instituteʼs director, says that the study should in no way be seen as an endorsement of the treatment. “Some of the most important research thatʼs been done by our intramural program is to prove that something thatʼs in wide use has absolutely no value or has some real safety concerns, so that we can tell people they should not be doing that,” Insel says. The 2006 NIMH proposal cites surveys suggesting that 1 in 12 children with autism undergo chelation therapy. A study that debunks the treatment would do little to convince parents who are desperate for alternatives, notes Steve Novella, an assistant professor of medicine at Yale University who has been blogging about chelation therapy for several years.